We are Blue Thunder and Ford Race Parts dealers. Listed below the items that we normally stock. If you do not see the item you are looking for give us a call at 704 583 2888. We can special order the item for you. The original 1960s design that we have raced all over the world. This classic dual plane 302 intake provides great power from 1000 rpm to 6500 rpm. 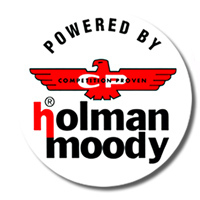 Printed with the famous Holman & Moody logo. 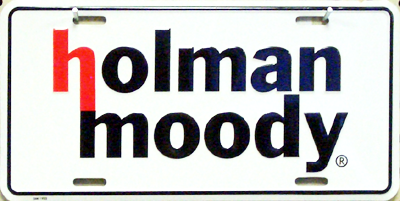 This would be the perfect addition to your collector car. Priced at $544.50. This classic dual plane 302 intake provides great power and a classic look. We have sold out of these 3 X 2V intakes. Made in America by Blue Thunder this intake is the best on the market. This intake does not have our logo printed on it. 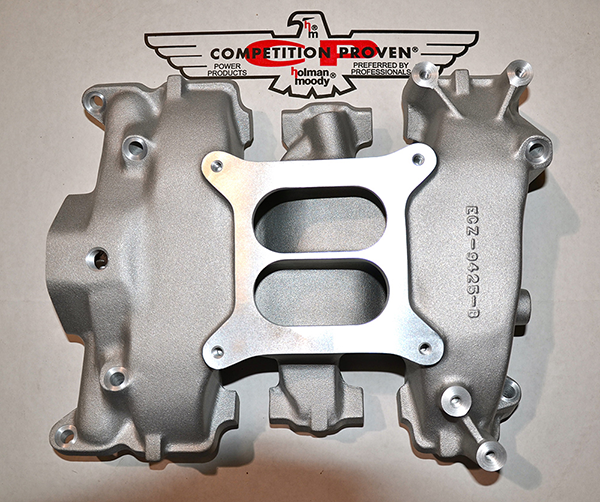 These intakes are in stock and priced at $540.00. We have learned that the carburetors will work if installed 180 deg. or turn back to front. This gives more room for the larger distributer caps. does require a new style throttle linkage and fuel log. We are out of stock for the original 2x4V fuel log, but we should have the fuel log and throttle linkage for this back to front carburetors installation. We will add more information and prices soon. 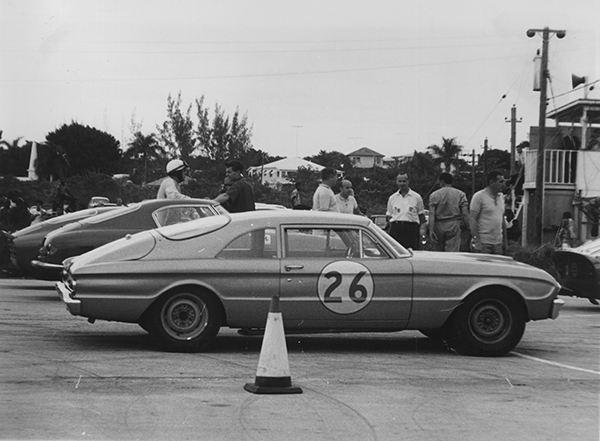 Cobras and GT 40s in the 1960s. 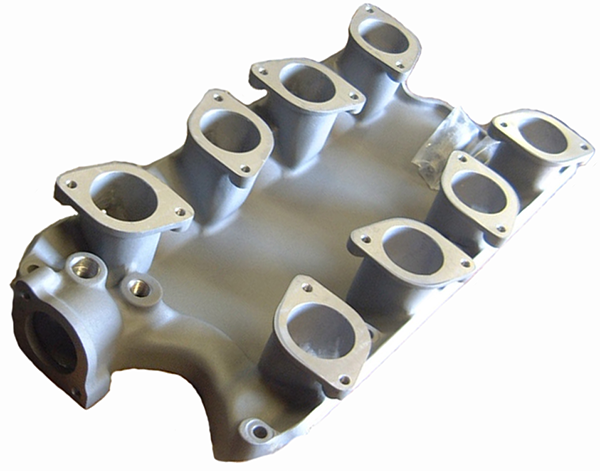 The Webers all face the same direction with two water outlets cast into the manifold. Out of stock please call us at 704 583 2888. Modern Design with Webers facing out. 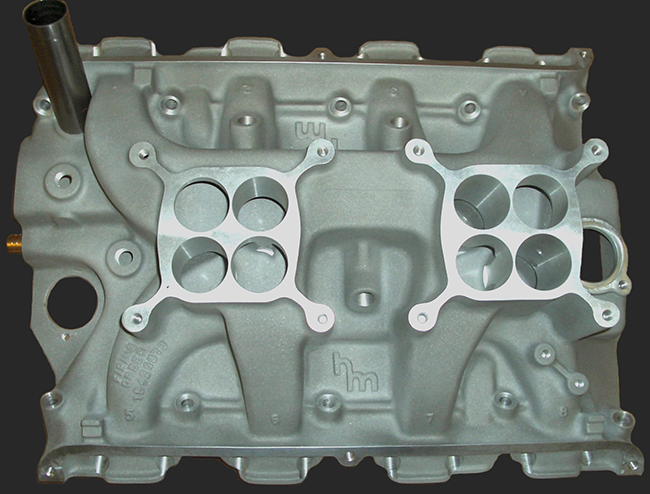 This modern version has a cast in thermostat housing. 351 W intake with Webers facing out. Please call us at 704 583 2888 to place an order. 429/460 Weber intake. This has the angle cut at 8 Deg. We have one in stock. Please call for more information, 704 583 2888. 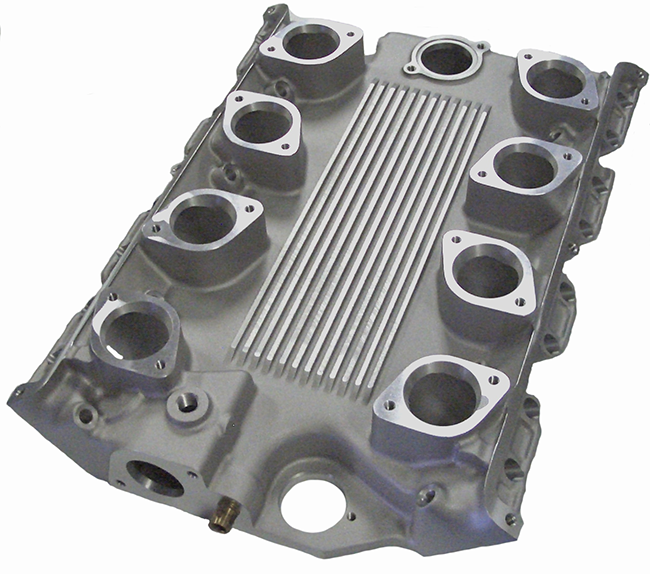 This classic dual plane FE medium Riser intake provides great power and a classic look. 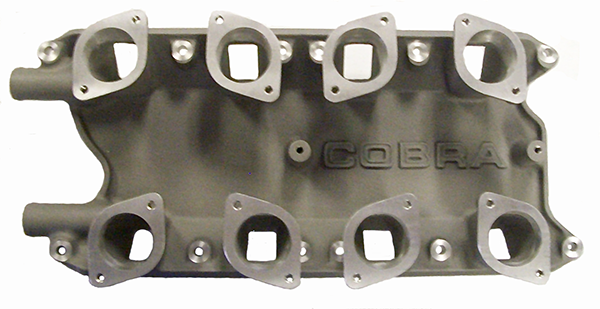 We also offer this intake with larger ports for the Cobra Jet 428 heads. The breather tube and some special allen bolts are included with these intakes. This classic dual plane FE intake provides great power and a classic look. 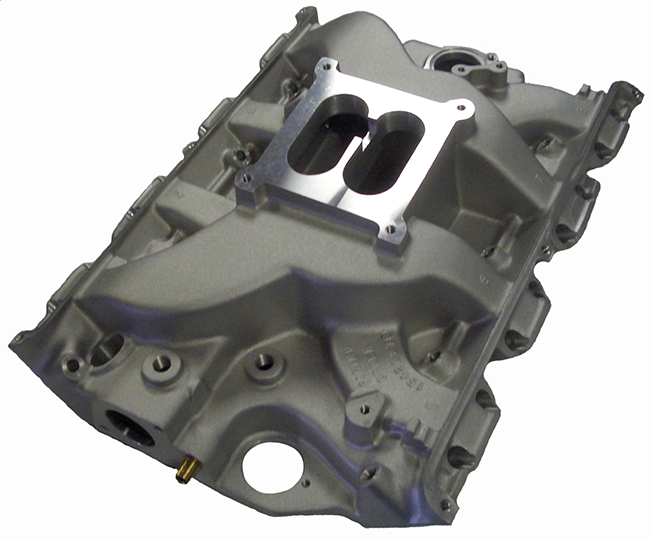 Please call us at 704 583 2888 to check stock before ordering these intakes. Very limited number of these intakes on hand. 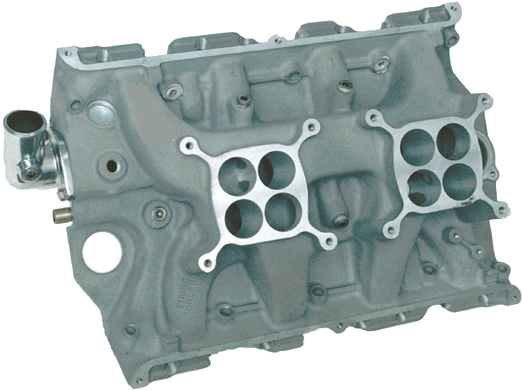 This is the standard FE 2x4V intake. Please call 704 583 2888 if you require a Cobra Jet intake. We are out of these. Click here if you would like to go back to the home page.